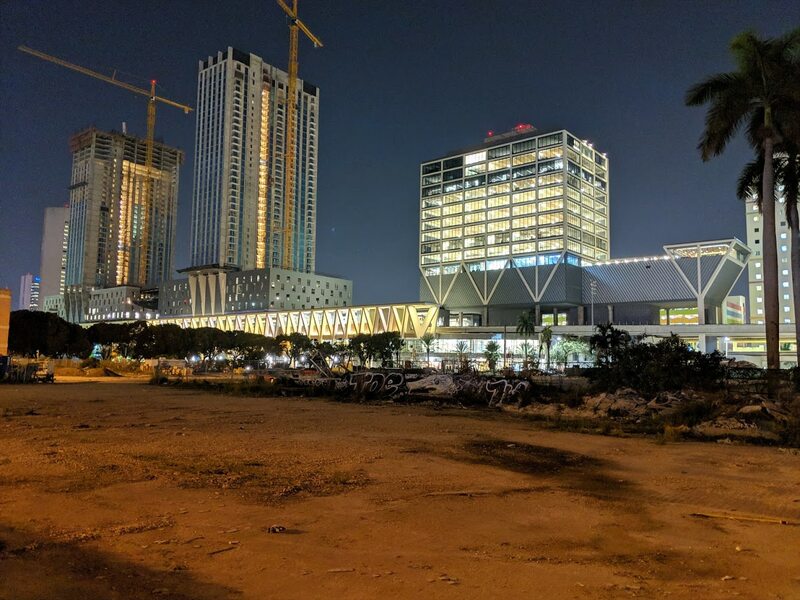 There’s still no activity at the site where MDM Group plans to build the Marriott Marquis Miami Worldcenter Hotel & Expo Center. Earlier this year, the developers had said they planned to break ground by the end of 2018. Those claims were repeated as recently as August. That seems increasing unlikely though. As of this morning, the developer hadn’t even started the long and difficult permitting process, with zero construction permits filed for yet. The project is planned to include 1,700 rooms and 600,000 square feet of convention space. At this point, maybe never getting built. These guys spent more time on PR and marketing and running to the papers to suppress all negative rumors, yet all we have is an average rental tower with a block long parking garage and Paramount (a true beauty). I’m just glad we got Paramount out of this and a bunch of prime real estate wasn’t wasted on meh projects like Caoba. The Paramount is a true beauty — anyone know if completion is still on schedule for Q1? Looks like summer at this point! Transplant this WILL get built….by 2028! Bank on it! The fine team at MDM is making sure this great location is getting the Miami World Center Fairfield Inn Expo Center and Rental Apartments, it will feature the same state of the art architecture Monarc at Met now boasts. Groundbreaking will commence as soon as MDM gets their next round of government subsidies. My thoughts exactly! And if not flip it to another developer who will build something better than this water down version. The area is growing and it deserve better. Maybe they read our comments here on TNM and realized – hey, these people are right, what have we been thinking, this thing is ugly. Lets bring back the original design! If this is the case, then awesome !!! If this isn’t built, where will I ever get to drive Electric Race Cars above a pool atop a downtown podium?! At least we got a giant parking garage out of this project. More than one.. each building include a gigantic number of spaces for every person that needs one. Miami World Center is going to be like Midtown Miami in the sense that it’s going to gradually scale up from one cycle to the next. You are probably right.. although at a faster pace than Midtown has taken. Fine by me. Come back with better architecture that isn’t a box, like the last two renditions. With the Hyatt likely getting rebuilt and the new convention center on the beach being approved they may decide to simply add more mixed-use towers with residential and office instead of a conventional convention space – see what I did there? How about just a convention center and more apartment towers? Miami is has few developers who are building and announcing new hotels so that’s not much of a priority. Should just sell the land to Miami world center developers. An entertainment center with casinos there and on the Genting site and watch how downtown takes off. I was hoping it would be done before the Super bowl 2020 but I guess not. MDM Group is just a bunch of losers. Yawn. You do know MDM has already built like 10 Marriott projects in Miami?